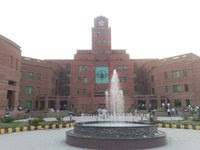 University of Faisalabad was established in 2002 and is Chartered by Govt. of Punjab and rated in "W" category by HEC. The University of Faisalabad has announced its admissions fall 2010 in following programs. Instructions to Apply: -The University of Faisalabad have separate campuses for male and female students. So male students can visit its Amin Campus on West Canal Road, Faisalabad-37610 and female students can visit its Saleem Campus at Sargodha Road Faisalabad-38850. TIP is one of the well known institutes for Textile studies. As there is huge job market for students having degrees in Textile Sciences so TIP could be one choices for students to study Textile Sciences. TIP has announced its admission for Fall 2010. They are offering admission in following undergraduate programs. How To Apply: You can get Admissions Pack from City campus (A-142, S.M.C.H.S., Karachi) for Rs. 1500. Fill the forms and submit it before 11th July 2010. 11th July is the last date to apply. Admission test will be conducted on 18th July 2010. For more information call: +922134549734 or visit www.tip.edu.pk. A friend of mine went to England; on his return, I went to see him. He was quite excited while describing his tour, “look what a country, everybody even the kids were talking in English, such a wonderful country”. Same is the condition of our rulers and policy makers, whenever they talk about the progress and development of America and England; they attribute it to English and think that English is the only key for the development of a country. In the recent days queen of England addressed the parliament, her address was very well crafted and was delivered in an elegant way. The parliamentarians listened to her very keenly and it appeared that they understood and appreciated each and every word spoken by the queen. Was it because it was delivered in English? No, because it was delivered in their mother tongue, the mothers tongue of both queen as well as the parliamentarians. And look at the height of foolishness, our president, our prime minister, our top officials start delivering their sermons in English without considering that it is neither their mother language nor their listeners. The result is a total lack of communication as both are handicapped whereas English is concerned. Do they not know that communication is needed between the speaker and the listener and when both are using a foreign language; naturally both feel some problems whereas understanding is concerned. Another question, when we are having a language in which we can communicate better, why to use another language? Why are we declining? It is because we have forced English into our educational and administrative matters, because it is not fulfilling the basic requirement of communication. 63 years have passed and this downward journey in the field of education, science and technology is continuing. And for the very same reason our universities, educational and technological institutions are not rated anywhere in the world. And because of this factor our students get shallow knowledge and when they go to the internationally reputed institutions they show an average or below average performance. And this is one of the reasons why our people are getting away from the books and they have abandoned the habit of reading. And still another stupidity, we have given the English subject a compulsory status till our graduation. This has played a key role in keeping our literacy rate to a shameful low level. Nobody has ever thought that the failures in English subject only are far more than total failures in all other subjects. By doing this we close the doors of education to our millions of students every year, and the struggle for knowing English language hampers their performance in other subjects as well. The efforts put by our elders in promoting English will not serve any purpose, but to fall our standards even lower. After all how can they fulfill their dream to change the language of 180 million people, it is simply stupidity, stupidity of the highest degree. And if their desire is to change the language of a portion of people, than it is like compromising on our dreams about this country. Why not involve 100% of the population in the process of development. And what will happen, if during this process of making the English, the language of our people, some other country (say china) becomes the boss of our bosses, will than we start learning that language? We can make a 100 times more progress by putting in 100 times less resources and efforts by making Urdu as our official language and introducing it at all educational and administrative levels. Whereas books and other resources are concerned, you just implement Urdu as the sole medium of instruction and our ‘well wishers’ themselves will prepare, print and publish all the required books and journals. After all ‘they’ are dubbing all their movies in Urdu for our viewers, they have prepared the computer and mobile software in Urdu, and we see all the advertisements for their products in Urdu. They will never like to loose the market of 180 millions; after all they are much better in business matters as compared to our rulers. You will see that the deluxe and the low priced editions of their books will be freely available at our bookshops and other places of learning. I know that all of our rulers have received their education from highly reputed English medium institutions and they are under their influence. They have their interests in their patron countries. All of their luxuries and enjoyments relate to these countries, but why are they not ready to think about the people of this country. For last 63 years they have exploited us a lot, and have kept us from going on the voyage of progress. Till when will they keep this Great Wall of English between us and the development? Send your resume with photograph at the following e-mail address. Qualification: Candidate must be BBA/MBA. Little experience in event management will be preferred in Marketing Executive post. Send your resume, cover letter, and photograph at the following e-mail address. RIPHAH International University is a Federal Charter University. RIPHAH University has announced admissions for Fall 2010 in following programs. MS - CS, EE, Maths, Physics, Statistics, Pharma Chemistry, Anatomy, Physiology, Biochemistry, Pharmacology. Instructions About Applying: You can obtain admission forms and prospectuses for any of the programs from their campus. The last date to apply is July 29th 2010. Admission test will be conducted on August 01, 2010. For more information call (051) 111-510-510 or visit the website. Motivation is the key component in getting the job done by employees. The more motivated are they, the more positive results are there. Here i am particularly going to discuss the case of Salespeople. They are very important to any organization, whether selling products or services. They are revenue generating units of the company so keep them motivated is necessary for productive results. First of all those persons should be recruited for this job whose motives and objectives match the requirements of the job, his needs should be aligned with all the tasks and benefits of the job so he may be able to perform well and be motivated as this job will be fulfilling his objective as well. Individual considerations should be taken into account when motivating and rewarding salespersons. Motivation is basically product of needs, if needs are being taken care of and fulfilled then a lot has been achieved, though all needs can not be fulfilled but taking care of it sometimes whenever possible, take care of their needs, as satisfied needs ignite the motivational behavior. 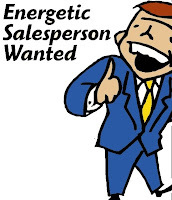 Salespersons should be provided with all the information regarding job so they can perform it very well. Monotony of the works leads to boredom, hence lower performance. So the jobs and tasks should be redesigned, some additional feature should be kept on adding and some new tasks should be assigned, so it may keep the salesperson fresh and motivated. 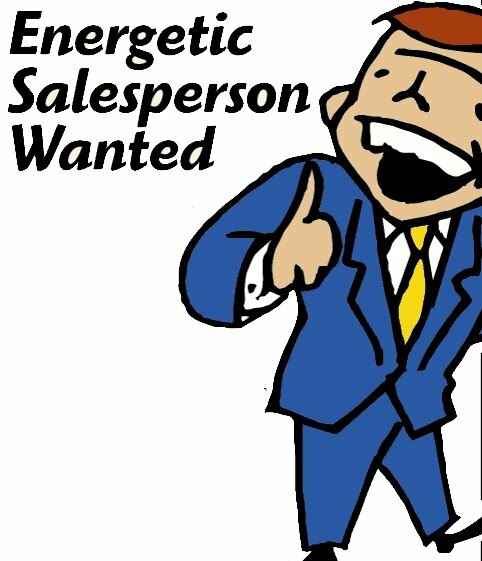 Motivation can be increased by building salesperson's self esteem. This can be done by acknowledging good performances and giving some rewards. So above mentioned guidelines can help you motivate your sales force and get your goals and their objective achieved simultaneously. Federal Urdu University Islamabad has announced its admissions fall 2010 in different disciplines. They are offering admissions in following programs. Instructions: Admission forms are available at Admission desk of the university, and some HBL branches for Rs. 500. Last date to submit admission forms is 15th July 2010. BBA - Students having 12 years of education with first division can apply. MBA - Students with 16 years of education with 2.5 CGPA can apply for this program. EMBA - Professional with 14 years education and 4 years experience or 16 years education and 2 years experience can apply for EMBA program. How to Apply: Application forms can be downloaded from IB&M website http://www.ibm-uet.edu.pk. For more information you can attend their information session on June 28, 2010 at IB&M campus, UET Lahore. Time is 7:30 pm. Last date for form submission is June 30th, 2010. MBA Admission test will be conducted on 4th and 10th July 2010. For more information about IB&M's education quality and other facts please read our review here. As a new start-up, we are all about Fashion and believe that in spite of so much attention and love afforded to the world of fashion, there is always scope and opportunities to expand it. And expand it we will. By developing technologies and platform from where designers the world over can announce their own individuality and fashion statement, we have a vision of leapfrogging the evolution of fashion development & delivering individualism back into it. · Experience of online application development using any of the latest development technologies. · A love for good designs and web development; you will be expected to make decisions about what current trends to adopt and which(& why) to ignore, plus you will be required to critique 10 websites for their presentation and effort. · A keen interest in fashion, preferably international fashion industry (as thats what our business is) would also be highly advantageous. · High motivation; the ability to inspire and push yourself & the team to go beyond the standard practices. Please note the following career opportunity. Send your resume at jobs@lhr.cupola.com.pk. Mention "MTO" in the subject line of e-mail. The CIIT's Dual Degree Program: COMSATS has started a new dual degree program with the partnership of Lancaster University. This program will provide students two degrees, one from CIIT and one from Lancaster University. Students enrolled in this dual degree program of CIIT will be considered as external students of LU. COMSATS is the second university to start this kind of dual degree program after Superior University's dual degree program. Well lets see how much appreciation this will get from students. COMSATS is offering these programs for their dual degree programs. Electrical Engineering: Students will get B.Eng (Hons) Communication Systems with electronics from LU and BS Electrical Engineering (Telecommunication) from CIIT. Management Sciences: Students will get BSc (Hons) Business Studies from LU and BS Business Administration from CIIT. Computer Sciences: Students will get BSc (Hons) Computing from LU and BS Computer Sciences from CIIT. Get your prospectus from CIIT campus. If you are going to apply in CIIT then read our review here to get some more help. Its been a full year since I wrote this post and started Education Inn of Pakistan to contribute my little part to help my fellow students. My aim was to create an information portal where students can get all the information, reviews and updates regarding Educational Institutes in Pakistan. I created it with the view to be a source for all my fellows, to even answer the queries and to have a positive and sharing environment for community of students and learners. I know i have long way to go and my vision is getting broader with every time passing. In my 1 year journey I got Madiha's help in every aspect of this blog. She helped alot in EduReadings and made huge contributions in other sections as well. I am really thankful to her and I welcome others too come forward and help your fellow students. In the beginning, my major focus were detailed reviews of Educational Institutes. In the due course i added one more category that is of EduReadings. It is aimed to explain educational concepts of different subjects in comprehensive and elaborative way so students may get a clear concept of topics and theories. Continuing with these, around 3 months back I came up with new addition to my Blog that was of Notices. This head is all about updates and notices regarding exams, events, Educational Exhibitions etc. It is to provide my readers all the latest news which I can to my best. Now recently I have started a section under the name of Admissions, it will serve my readers with all the information related to Admissions at Universities & Colleges. With my these little efforts I try to update my readers and share my views and opinions. In future i am hoping to expand it in terms of more categories and information.I welcome all the suggestions and comments. Education Inn is here to provide information; spread knowledge and share perceptions. Many of my students readers asked me to start a new category related to the jobs for fresh students. So I was thinking to start a new series of posts in which I will share some openings in different organizations which are particularly for fresh graduates. I know that any of you can go to any jobs portal and find jobs opening in companies but those are mostly for experienced professionals so what I am gonna do is that I will search jobs for fresh graduates and share with you guys. That is not only, along with searching in different portals main source of my Jobs section will be my personal sources like I will use my personal contacts to find out jobs for you people. So by adding this new section of "Jobs for Students" I am taking a responsibility, a responsibility to give my fellow students those opportunities which might prove to be their career. So keep reading and be updated!! At last I need to thank my readers who always appreciated me by reading my writings and encouraged me to keep writing. University of Health Sciences has announced the last date to get admission forms for MCAT (Medical Colleges Admission Test). 26th June is the last date to get admission forms, you can get these forms along with prospectus from any Govt. Medical or Dental college. These forms are free of cost any there is absolutely no fee for admission test. Admission forms can be submitted from 27th of June to 4th of July 2010. Tomorrow is the last date to get forms so be quick and get your forms if you are looking to get admission in medical college. Sukkur IBA has announced its admission for fall 2010 in various management programs. 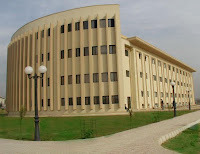 Sukkur IBA is one prime institutes of business administration in the area of Sukkur. They are offering following degree programs. For BBA candidates must have 50% marks in Intermediate exams. For BS candidates must have 60% marks in F.Sc with Pre Engineering subjects. 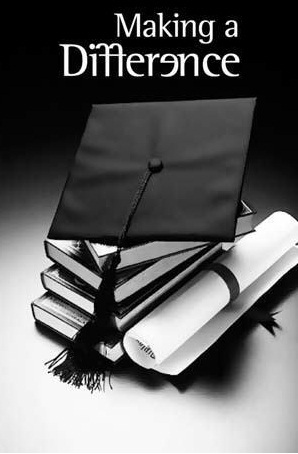 For MBA Candidates must have completed 2/4 years bachelors. Forms can be downloaded from institutes's official website www.iba-suk.edu.pk. Submit the form along with demand draft of Rs. 800/ in favor of Sukkur IBA. Admission test date is July 18, 2010. Commencement of classes August 02, 2010. These are some basic details for admission in Sukkur IBA, if you need any further information or consultation feel free to ask me or visit their website for more information. This theory was developed by Albert Bandura and his associates. One of the theory's most important contributions to the science of learning was demonstrating that learning could occur without any overt behavior by the learner. That is, the learner did not have to do anything except observe what was going on around her. 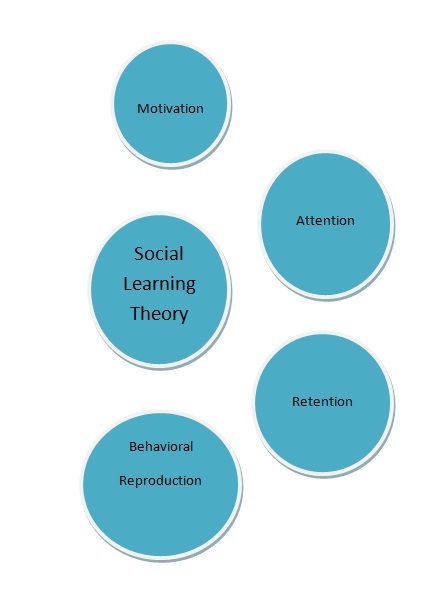 Social learning theory explains 4 components of human behavior to learn. Motivation, Attention, Retention and Behavioral Reproduction. Motivation: This theory suggests that to learn something, a learner has to be motivated. Because without any motivation to learn anything new he or she will be unable to give his best efforts in the process of learning which will eventually make the learning process a failure. So motivation to learn is very important. Attention: Second thing to be considered which is highly related with motivation is the attention of the learner towards the learning material. Because if the motivation is there he or she will give proper attention to what is presenting in front of him or her. Without the full attention no one can learn anything because of need to be fully attentive if you want to learn something new. Few things can be done like turning off the cell phones or making the training room sound proof will help in keeping the learner's attention on the learning material. Retention: Once attention is focused on an object or event, the incoming information is processed for possible retention. Some of the information will be retained and some will be lost. The more training is designed to facilitate retention process the more learning will occur. To increase the retention rate, method of symbolic coding could be used in learning process. In symbolic coding information is translated into symbols meaningful to the individual. By using symbolic coding we can increase the retention rate of learner. Behavioral Reproduction: Behavioral reproduction is repeated practice. The more a person practices using new information, the more it is learned and retained. So it is like the learner is motivated to learn and give full attention and retain most of that and then you keep practice that new information again and again. This will make the learning process a big success. Bahria University has opened admissions in the Islamabad campus in all departments including Humanities & Social sciences, Management sciences, Engineering, Environmental sciences and Applied sciences. The detailed list of offered programs is given below. BSS: 4 year program in Sociology, Development Studies, IR, Media Studies. BBA: 4 year program in Management with majors in Finance, Marketing, HRM. BEE: 4 year program in Electronics, Telecommunication. BSE: 4 year program in Software Engineering. BCE: 4 year program in Computer Engineering. BS: 4 year program in Geology, Environmental Sciences. BS: 4 year program in Computer Science. BS: 4 year program in Electronic Telecom Management. MBA: 3 years program for 2 year bachelors degree holders. MBA: 2.5 years program for students with 16 year non-business education. MPhil: 2 years program for students with 16 years of business studies. MS: 2 years evening program in Geology, Environmental Sciences. MS: 1.5 years program in Environment Policy & Management. MS: 2 years program in Software Engineering. MS: 2 year program in Telecom & Networking. PhD: 3 years program in Management Sciences. PhD: 3 years program in Electrical Engineering. 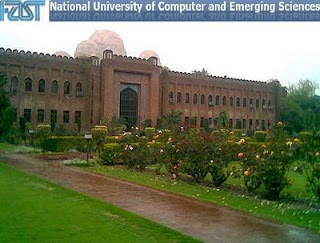 How to Apply: You can obtain Application forms from Islamabad campus of university. All the information about filling the forms is given in that application form/prospectus. Result awaiting students can also apply for admission. Prospectus will be available from 28th July 2010. Last date for form submission is 19th July 2010. Entrance Tests staring form 24th July 2010. Entrance tests result will be announced on 3rd August 2010. Interviews will held on 9th August 2010. Final Merit list will be displayed on 17th August 2010. Fee submission deadline is 2nd September 2010. Orientation session will be held on 6th to 8th September 2010. Commencement of Classes is 13th September 2010. If you are going to apply for Bahria University then Best Of Luck!!! American Heritage University is the first american university to start its operations in Pakistan by opening admissions in its Virtual Campus in Lahore . Although that the mode of the lectures will be like of Virtual University it means that they are not going to use regular traditional methods of teaching instead lectures will be delivered on screen, internet or any other soft form. So for me this is not a big deal and knowing the fact that fees are quite high even after the 50% scholarship for every student. Well lets see what programs are they offering for Pakistani students. There is not quite information provided as far as last date of application or how to apply. So you can visit university's Lahore campus for more details. Fee Update: I have confirmed the fee of all the programs given above from their Lahore campus. They confirmed me that the fees given on their website in American Dollars are applicable here in Pakistan with 50% discount because they are offering online studies. The fee details are given below. Faculty of Management and Sciences at International Islamic University has announced admissions for various programs. You can find list of programs below. BBA: A 4 year morning program. MBA: A 3.5 years program with Finance, Marketing, Management& entrepreneurship. MBA: 1.5 years program with Finance, Marketing, Management& entrepreneurship. MBA: 2 year Executive program. MS: 1.5 year program in Finance, Marketing, Management& entrepreneurship. MS: 1.5 year program in Technology Management. PhD: 3 year program in Finance, Marketing Management. PhD: 3 years program in Technology Management. Application form can be purchases from Habib Bank IIUI branch H-10 or from First Women Bank Ltd, Women campus IIUI. Forms can also be downloaded from here. Last date to apply is 9th July 2010. Tests will start from 18th July 2010. Interviews will start from 22nd July 2010. If you are going to apply in IIUI then read our review by clicking here and Best Of Luck!! National Aptitude Test is compulsory for NTS associated universities/colleges. Candidates appear in a single test which is applicable to all of the NTS associated institutes. One thing to be clear that students have to apply for each university separately and only the test will be exempted if they appear in NAT. Below are some details about 3rd NAT Test of 2010. Get NTS registration form and bank deposit slip downloadable from NTS website www.nts.org.pk, daily New papers or reproduce them as per given sample. The form is also available inside the User Guide. Attach 2 photographs (1 x 1.5 inch) at the front of this Registration Form.All candidates are required to provide their photographs with full face exposure. Result cards will be dispatched on 21st July 2010. For More details visit NTS official website www.nts.org.pk. University of Central Punjab has announced a new program in the field of Accounting and Finance at Under Graduate level. It seems like UCP is looking for new fields after the construction of its new campus which is no doubt quite awesome as you can see in picture. I am hoping that with their new building they will also improve their education standards. BS (HONS.) Applied Accounting Program Details: This is a 4 year comprehensive program which is designed to develop professional accounting skills in students which will generate great job opportunities. Same criteria for result awaiting students' 1st year results. How to Apply: You can submit your application forms online or by visiting their campus at 1- Khayaban-e-Jinnah, M.A Johar Town Lahore. Download application forms from here. Last date to apply is 3rd July 2010 but for online applicants it is 2nd of July 2010. Admissions are open in Shaheed Zulifiqar Ali Bhutto Institute of Science and Technology Islamabad campus. SZABIST is one of the highly ranked institutes of Pakistan and have a very good reputation in job market. So if you are planning to start one of the following study programs then your should apply to SZABIST. BS (Computing): A 4-year program with software engineering, IT, Telecommunication and CS specialization. MBA - Offering MBA in HRM, Management, Finance, Marketing and Hospital Management which is a new MBA program for MBBS Doctors. MBI - Masters in Business Intelligence is a 1 year program. MISNA: Masters in Information Security & Network Administration is a 1 year program. MS: SZABIST is offering MS programs in Management Sciences, Computing, Social Sciences and Project Management. PhD in Computing and Management Sciences. How to Apply: You can Apply online at SZABIST Islamabad's website by clicking here. 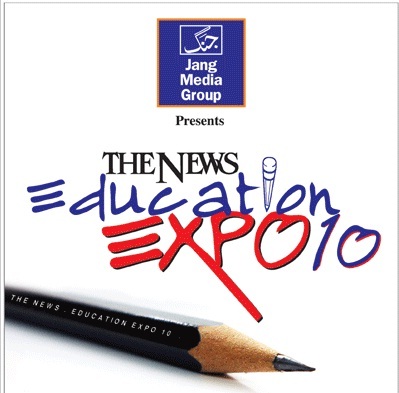 Once again Jang Media Group is presenting yet another education exhibition by the name of "The News Education Expo10". In this Expo different colleges and universities will establish their stalls and will provide admission information and some of them will be giving admissions on the spot. I am expecting top universities to be present there so don't miss this event and get as much information about them as you can because sooner or later you will need that information to decide for your future studies. Admissions are open in UMT's School of Professional Advancement which is a multidisciplinary, participant-centered institution of life long learning and mid career professional development. Eligibility: Applicants should have at least 14 years of formal education and/or one of the following degrees or equivalent: BA, BSc, BE, BS, MA, MSc, MBBS, B.Pharm, CA, ACMA etc. How to Apply: To apply you can visit UMT campus at C-11 Johar Town, Lahore or call 04535212801-10 or visit www.umt.edu.pk for more details. If you are going to apply at UMT then read our review here and....best of luck!!! Admission Procedure: First register yourself at www.nu.edu.pk by following the instructions. After your registration is done you will be provided with an ARN Number which will be required for further reference. After online registration visit the campus for documentation verification and admission eligibilty and confirmation of test schedule. On your visit you should bring following documents with you. Roll No. Slip of Intermediate Part-2 or statement of entry for A-Level exams in case of result awaited. Rs. 1000 for admission test and application processing fee. Last date to apply is Monday July 05, 2010. If you are going to apply at FAST NU then read our review and Best Of Luck!!! In the under discussion model of attitude, three components of attitudes are identified by researchers n these are; Cognitive Component, Affective Component, Conative Component. Three three components are interrelated and integrate to form an attitude of a person toward any product or service in consumer scenario. Cognition is basically making decisions going through a thinking process. So this thinking process can occur on the basis of knowledge and perceptions that are already existing in our minds. So here i'll say that Cognitive Component of attitude is developing a belief based on past experience or perception and whenever we are exposed to attitude object (about which we are to form certain attitude) and our those belief will form our behavior towards that attitude object, and if its positive our attitude towards it will also be positive or vice versa, i.e. Suppose you are to make decision between where to lunch either McDonald's or KFC, now you will think and extract all the knowledge in your mind that may be due to past experience or gathered from different sources, you will be having certain beliefs on the basis of these knowledge bits and bytes and then your behavior will be led by these beliefs and your attitude would be led by you behavior. This Component of Attitude formation is all about emotional feelings of a consumer about the particular product or brand. People have certain emotions regarding the attitude objects either favorable or unfavorable; good or bad, it may be regardless of any quality, specification, features, utility or brand name. Like i may prefer KFC over McDonald's as KFC people are more into charitable social work. So my positive emotions would be with KFC. Sometimes emotionally charged states can also manifest this affect-laden experiences. For instance, if you are at best of your mood and you are asked to have an icecream, you response would most probably be positive, which would be opposite in other cases. So your mood at certain situation also counts. This final component is concerned with the likelihood or tendency that a specific action will be undertaken by an individual regarding attitude object. It is treated as an expression of consumer's intention to buy. It may include action itself. Consumers usually make purchases for positively evaluated brands. Their intentions towards those brands are positive, so their attitude towards those brand would be positive. As the term is self explanatory, that it is creating personality that actually does not exist. For instance; as internet usage has increased manifolds and chatting over internet is the most popular thing. So what some of us do is that we create our accounts with some different identities to interact with different people. So we will call it a virtual personality that exist only on internet. Now what happens that if you create a personality unlike you (or you may want to be like that), you pretend to be that person, if in real you are introvert you try to become extrovert over there, if you are not talkative you try to interact with people, if you are not confident you may consider that personality to be confident and like that. And there are chances that at the end of the day you have got these trait in your personality because of continuous practice, these traits become part of your personality. So Virtual personality provides your the opportunity to try out different personalities, which you are not and you may adopt a bits and bytes of that virtual personality in you which may groom you. It is just like going to the clothing store and trying out different outfits and then you may select the one that best suited you. Similarly you may adopt certain characteristics out your own created VPs and adopt the ones you may wanted to be. The City Karachi is under threats of Cyclone strength Storm (Phet) and it has made a lot of activities of the city to be ceased. Electricity is out and people are suffering a lot. Educational institutes are not out of this stance as well. Students are suffering as exams are being canceled, postponed and institutes are closed, it seems like all educational activities are being shut down for sometime. So in this respect, Karachi University has also postponed its tomorrows papers. And all matriculation exams to be held tomorrow have also been canceled. All Exams of Special Children are also canceled keeping in view the current status of storm threat. Let's just pray that Allah Almighty keeps everyone safe and gets the city out of this danger. Ameen. This concept is very much related to consumer learning. When we have needs which are unfulfilled, we are motivated by cues/stimulus around us. We are being bombarded with a lot of stimulus in our daily life as consumer which can be in form of ads, any outlet, products at grocery store, clothing stores etc. So sometimes what happens that we are unable to differentiate between stimuli as they are too similar to be differentiated, this is known as stimulus generalization. I'll tell you that how can you benefit this being a marketer and if you are consumer then i would only ask you to beware of "me too" products (those which exactly look like the established brand one). Marketers of me too products exploit this concept and consumers get mistaken and confused by the similarity in the original and me too brand. These are either packaged same, or presented in same way etc. For instance exmple of Biryani Expree and Biryani Extreme in Pakistani scenario, where biryani express was already established brand and people are well aware of its flex boards, menus, colors and out lets, and biryani xtreme by using everything almost similar to biryani express confuses the consumers and people are sometimes unable to differentiate. In Product Line Extension, a marketer with already established brand name can introduce new products in the same product line. For example; Rin dish washing bar, Rin lemon dish washing bar and Surf, Surf Excel, Surf Ecel Blue etc. Since these brands are already established and have positive image in consumer's min, a learning process has been occurred with positive reinforcement so consumer will automatically trust this new brand as well and be stimulated to purchase and learn about that. This way you can provide your customers some added features and variety and keep them loyal to you. In Product Form Extension, marketer introduces new and different forms of product For example; Crest tooth paste, Crest whitening strips, Crest Listerine and Dettol soap, Dettol handwash. In product Category Extension what marker do is that he/she tries to target a different market segment by introducing products in its line. For instance a designer who was only focusing on contemporary wearings for women may start designing for males as well, and then target kids market as well. These are the positive ways through which this concept can be utilized by marketers to benefit their customers. Board of Intermediate Board Karachi announcement the postponement of all intermediate papers scheduled for tomorrow. 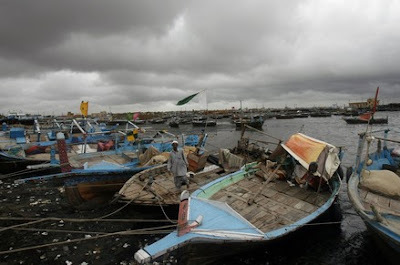 According to board chairman Dr. Anwar Ahmadzadi the papers are postponed due to "PHET" storm warnings in Karachi. Papers of Pak-Studies and Islamiat scheduled on June 4 will now be held on 28th of June 2010. It felt really good when I first saw a notice on my university notice board asking for students to apply to be a part of Chief Minister's Youth Commission. It means that youth i.e students are going to have their say in policy making. It is a very positive step our Chief Minister, Mian Shahbaz Sharif has taken. The prime purpose of this Commission is to involve youth; to have new, fresh and innovative ideas in Policy making to lead our country towards betterment. As per notification; 360 students would be selected from districts of Punjab to make a team of 10 in each district; comprising 5 male and 5 females students thus encouraging both and female. First youth conference will be held on 12th June where participants will interact with high officials of the Provinicial Government and Chief Minister Shahbaz Sharif.Notices and ads have been placed in almost every institute for students to participate, as the one i saw in my university. Students will go through written easy test assessment and those who will secure 60% would come under selection criteria who will then be selected by 8 member division level committee comprising an area MPA, a vice-chancellor, principal of any two postgraduate girls and boys colleges and a male and a female student from private sector. This is one of the things we need to bring change to our Country. So be a part of that change with all your enthusiasm and positive energies.